Akihabara, the electronic town of Tokyo has also its own Shrine site. 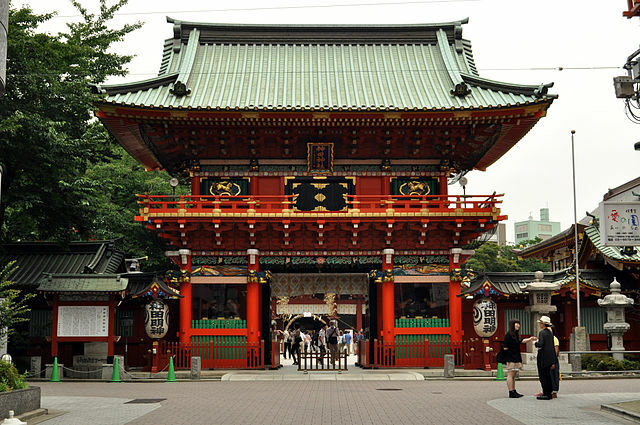 ​Kanda Myojin is a popular Shrine in the heart of Tokyo which its history dates back to the year 730. Kanda Shrine had been highly regarded by both the warrior class and citizens of Japan, especially during the Edo Shogunate. The current structure of the shrine was rebuilt several times due to fire and earthquakes. The two-story main gate, Zuishinmon, marks the entrance to Kanda Shrine. It is painted vermilion, and decorated with gold and lacquered interiors. Close to the main gate, there is signboard on which the history of the place is explained in English. People visit the shrine to pray for prosperity. 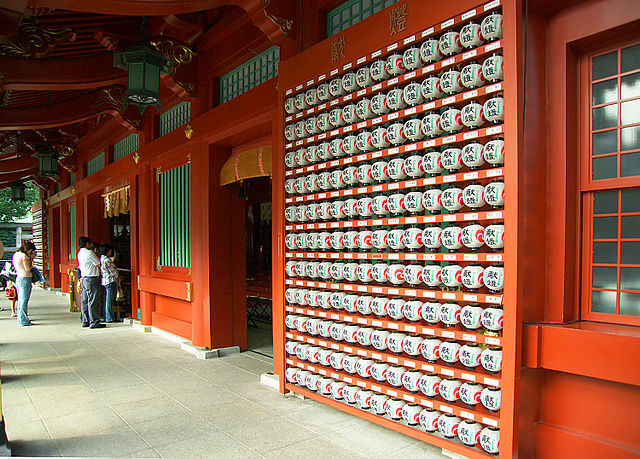 Kanda Shrine has an Omikuji vending machine. ​By inserting 200 yen and purchasing one, visitors may consult the oracle and receive divine answers to their questions. A small lion doll in the machine chooses the fortune for you. Kanda Myojin Shrine is mostly noteworthy for the Kanda Festival that it organizes around May15 of every odd year. On this occasion, a massive shrine is traditionally carried through the streets of Akihabara, providing an interesting contrast with all the high-tech to say the least. 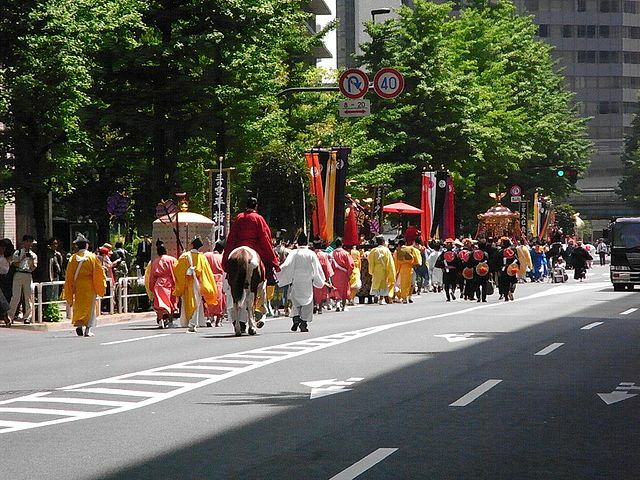 ​​The Shrine is situated in one of the most expensive estate areas of Tokyo. Kanda is a typical local district with residential areas, numerous universities and bookstores. It has traditionally been an academic center, and is therefore frequented by young people. 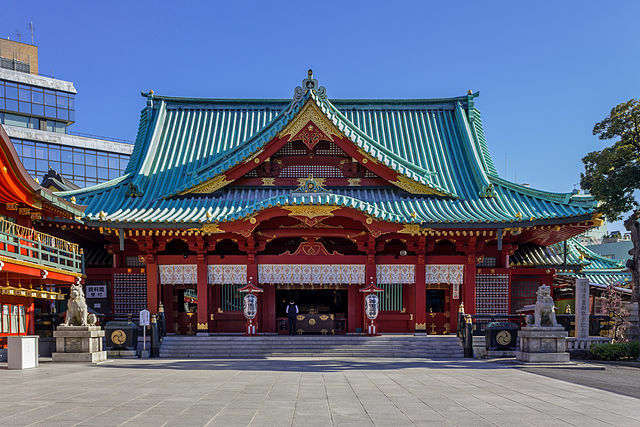 While you are in the area, if you decided to spend a little while in the peaceful atmosphere of the Kanda Shrine, arrive before noon or the shrine gets packed with spectators. ​Kanda Myojin Shrine is about 5 minutes' walk from Ochanomizu Station on the JR Chuo Line, Tokyo Metro Marunoucni Line and Tokyo Metro Chiyoda Line.